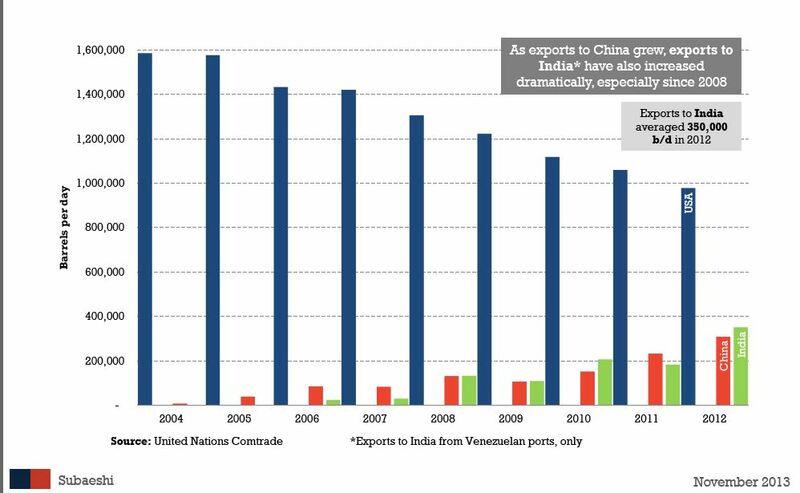 Did you know that last year Venezuela shipped more oil to India than to China? And did you know if Venezuela sold the oil it sends to China and India to the U.S. instead, it would make an additional $9 billion each year?! That’s a lot of money: almost half a year’s worth of the gasoline subsidy! And hey, in return for the gas subsidy we at least get basically-free-gas, which counts as some sort of benefit. For this, all we get is the gratitude of the oil shipping and shipbuilding companies, who get to ferry all that extra oil extra far for no good reason. Plenty more eye-popping stuff where that came from: Subaeshi’s* latest oil policy report. *how crazy is it that in Venezuela oil-sector analysts have to publish anonymously for fear of retaliation? These guys are friends of the blog, though – they’re solid.